His last day was June 1st, 2018. Jim started at KITCO as a trainer in April of 2002 and has been the Training Manager since 2005. Everyone here at KITCO has been the beneficiary of his leadership and mentoring for the last sixteen years. Without hesitation, he has been the best manager, friend and coworker anyone could have had. Jim, you are missed!! Jim retired as an Electronics Technician Senior Chief Petty Officer ETCS (SW) from the United States Navy. In his last tour of duty, he served as the senior enlisted petty officer managing the ET schoolhouse at Fleet Training Center, Norfolk. After twenty-one years of distinguished service Jim decided to take on a new challenge and brought his many talents to KITCO. Once Jim arrived at KITCO he served in many capacities. He first learned the trade by building complex cable assemblies including Measurement Quality Jumpers (MQJs) in our custom cable shop. He performed numerous fiber optic installations on-board U.S. Navy ships and submarines; and led INSURV inspection teams on US Destroyers validating their Fiber Optic Cable Plants. For Jim it was not just a job, but a lifestyle. Thousands of students from all over the world benefited from his mentoring and leadership. Teaching was not just a book exercise for Jim, he ensured all KITCO’s instructors continued to work in the field when they were not in front of a classroom. Honing their skills and gaining additional experience they could bring back to the classroom. Jim knew having different field experiences allows the instructor to have a better understanding of obstacles the students may encounter. This reason, and so many more, is why the instructors here at KITCO never leave. 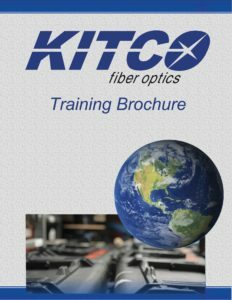 His vision of continuous self and process improvement has brought KITCO’s training department to the top of the field. 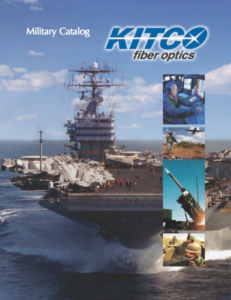 One of his last achievements was leading KITCO’s efforts to get certified and be the first added to the NAVSEA Certified Fiber Optic Trainers List. He was one of the eight original certified instructors added to the distinguished list. Jim’s influence has been instrumental in the success of Fiber Optics being adopted by the US Navy. Jim was a driving force ensuring the sailors aboard ships who maintain the installed systems received the highest quality training. He also made sure the contractors, shipyards, and vendors performing the installations received the same high-quality training for the last 16 years. They received the proper tooling and equipment, because of him. In addition to Navy fiber, Jim was also a driving force for the Army and Marine Corps Tactical Fiber Optic Cable and Connector Assembly (TFOCA) courses. Is it any wonder why we are so sad to see a man of this capacity go? We are all better today because of Jim. His legacy is one of dedication, integrity, selflessness, honor, understanding, knowledge, and drive. Jim, you taught us well. We will make sure to do you proud. Jim, Thank you for all you’ve done for KITCO! FYI – If you need to locate Jim for information, look no further than the nearest golf course or beach (i.e. sand trap). You’ll find him there. Happy Retirement Jim, you’ve earned it! !